A conventional ankle-high boot with a grounded block heel gets a playful twist with a bow-like wrap on one side. The feminine detail plays a pretty complement to flowy chiffon and romantic rose prints. 3.75 inch heel. 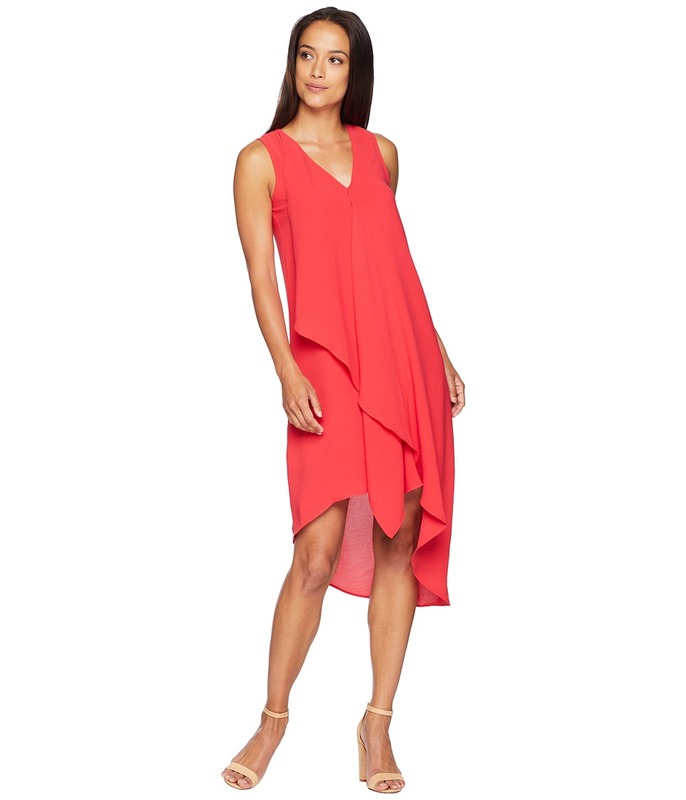 Sleek and sophisticated, this Adrianna Papell dress offers the ultimate versatility. Curve-hugging dress features a semi-sheer chiffon overlay that flaunts an asymmetrical cut. Stretch sheath features shutter pleats throughout. Round neckline. Short flutter sleeves. Side-zip closure. Straight hem. 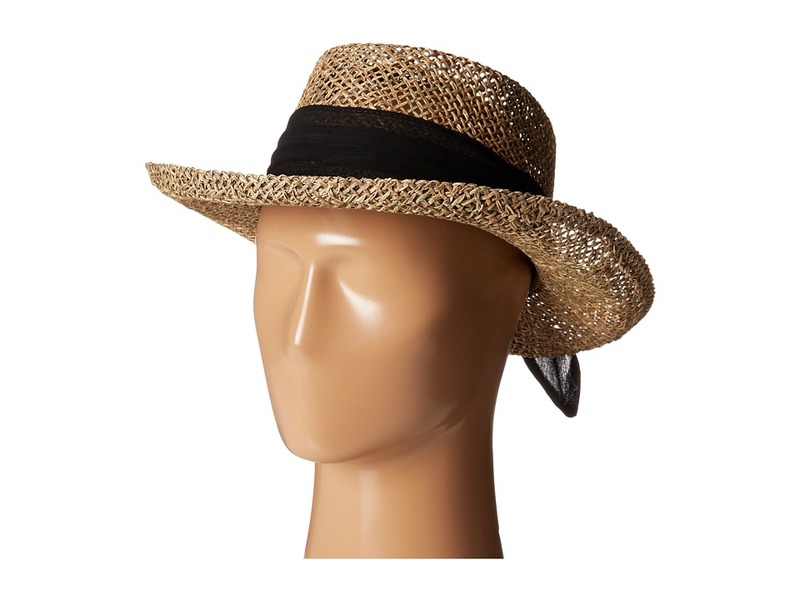 Top Shell: 100 percent polyester Bottom Shell: 95 percent polyester, 5 percent elastane. Dry clean only. Imported. Measurements: Length: 40 in Product measurements were taken using size 4. Please note that measurements may vary by size. Sleeveless, chiffon gown flaunts a flattering empire waist silhouette. Plunging V-neckline is set off by sparkling beads. Jeweled beads decorate the fixed shoulder straps. Ruched bust flaunts a twist detail. Open back design has a hidden hook closure. Concealed zipper in the back. Floor-sweeping hemline. Lined. Dress and lining: 100 percent polyester. Professional spot clean only. Imported. Measurements: Length: 65 in Product measurements were taken using size 2. Please note that measurements may vary by size. Float through your evening like a princess in this chiffon dress. Chiffon gown cascades down the body in a drapey, A-line silhouette. Sleeveless silhouette has a jewel neckline. 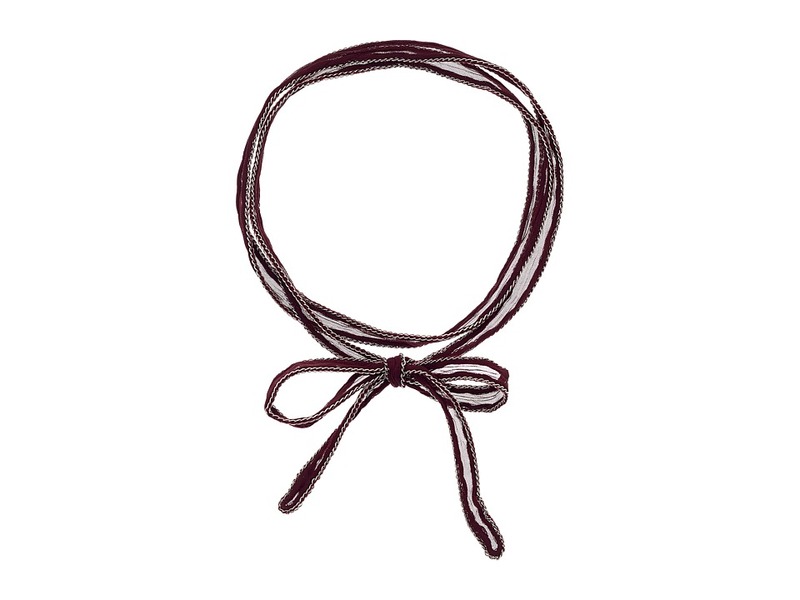 Racerback flaunts a bow accent. Invisible side zip. High thigh slit on one side. Floor-sweeping hem has an attached train. Lined. Dress and lining: 100 percent polyester. Dry clean only. Imported. Measurements: Length: 61 in Product measurements were taken using size 2. Please note that measurements may vary by size. 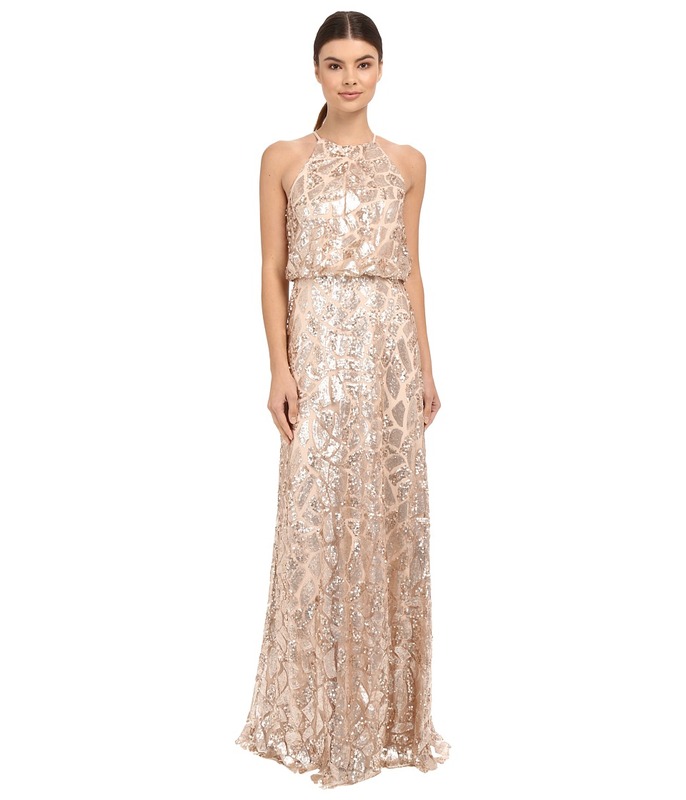 Dazzle the room in this stunningly beaded creation. 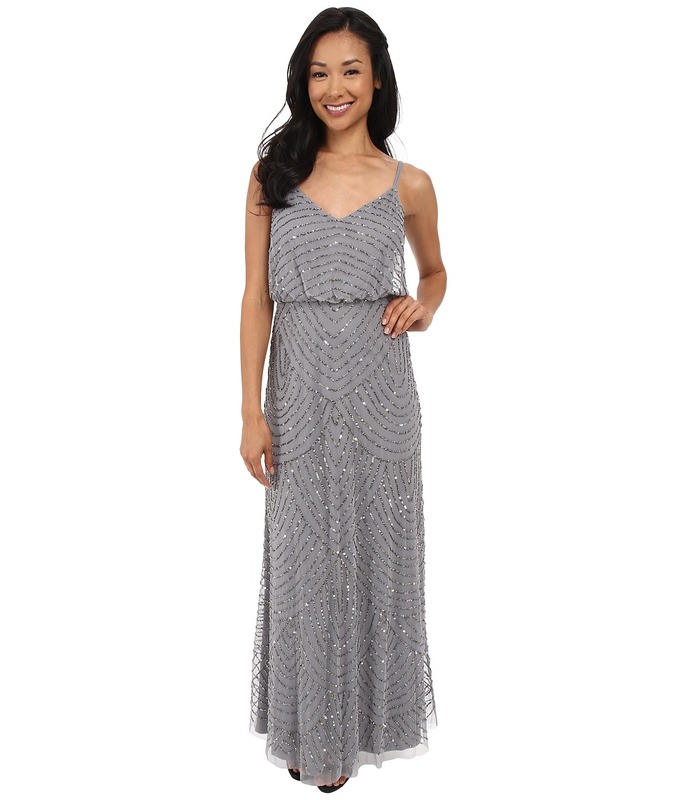 Sparkling beads decorate the chiffon evening gown with a geometric floral pattern. Sleeveless dress features a popover elastic waist that creates a classic blouson top. High, round halter neckline. Hidden zip closure in back. Floor-sweeping hem. Fully lined. 100 percent polyester Lining: 100 percent polyester. Dry clean only. Imported. Measurements: Length: 63 in Product measurements were taken using size 2. Please note that measurements may vary by size. A flowing skirt creates a luxurious silhouette to this Faviana gown. A chiffon insert creates an illusion, plunging V-neckline. Silicone grip tape at the top prevents slipping. Side boning and padding in the bodice provide shape and extra support. An adjustable strappy back detail creates a flirty look. Pleating throughout the bodice and skirt. Nipped waist creates a feminine shape. Concealed back zip closure at skirt. An off-center slit provides sultry style. Straight hemline. Fully lined. 100 percent polyester Lining: 100 percent polyester. Dry clean only. Imported. Measurements: Length: 66 in Product measurements were taken using size 2. Please note that measurements may vary by size. Make memories in this stunning Faviana gown. A luxurious poly-chiffon gown flaunts an alluring ruched detail at bust. Illusioned sweetheart neckline. Flattering empire waist silhouette. Extra large keyhole cutout with button closure at back neck. Concealed back zip closure. Straight hemline at a floor sweeping length. Fully lined. 100 percent polyester Lining: 100 percent polyester. Professional spot clean only. Imported. Measurements: Length: 63 in Product measurements were taken using size 2. Please note that measurements may vary by size. 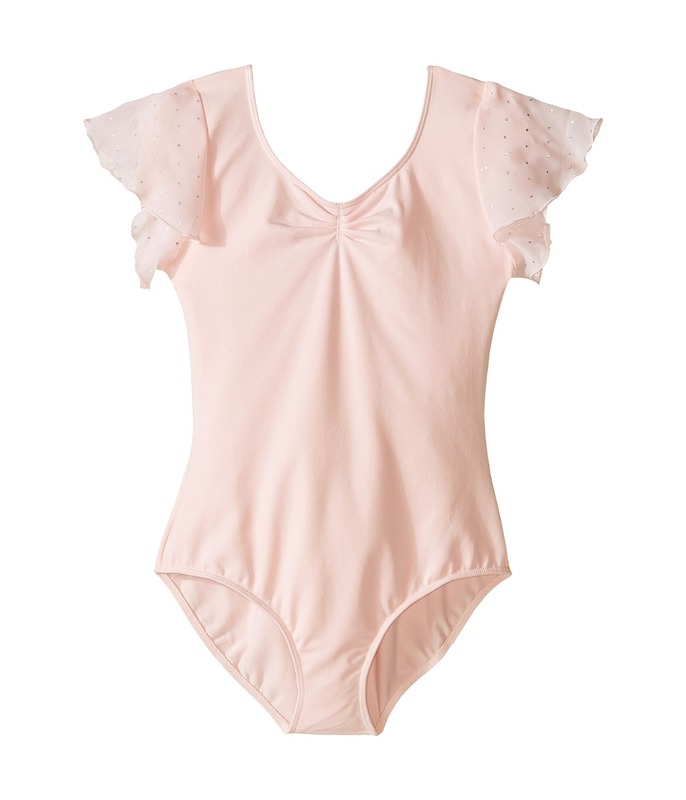 She~ll drift across the stage like un papillion in the lovely ballet style of the Bloch Kids Flutter Sleeve Leotard with Sequin Dot. One-piece leotard with sequin-trimmed, flutter chiffon sleeves. Comfortable, stretch cotton knit. 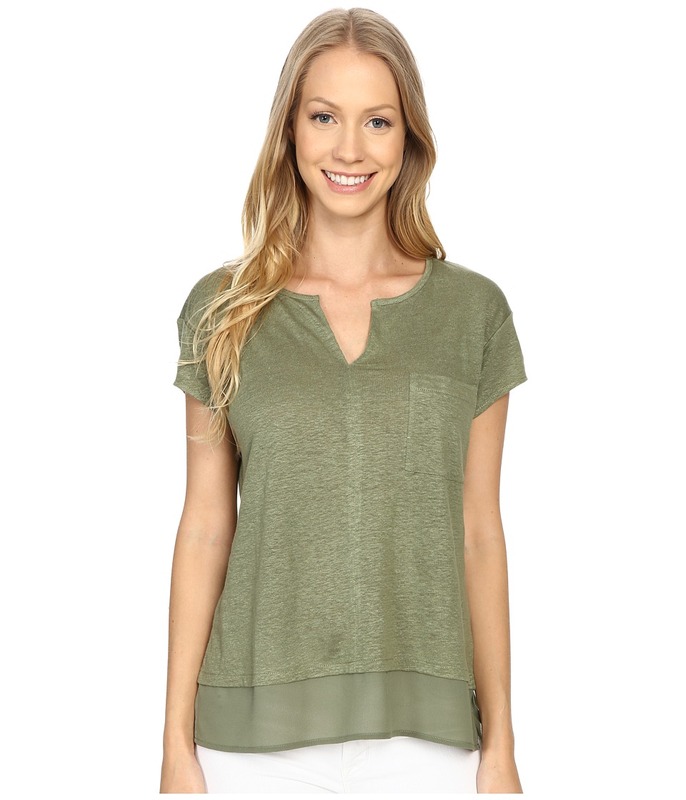 V-neck with shirred detail. Scoop back. Cap sleeves. Full seat coverage and moderately cut leg. Body: 90 percent cotton, 10 percent spandex Lining: 100 percent polyester. Machine wash and tumble dry. Imported. Measurements: Shoulder to Crotch: 21 1 2 in Product measurements were taken using size 12 Big Kids. Please note that measurements may vary by size.